RICK BASS’ fiction has received O. Henry Awards, numerous Pushcart Prizes, awards from the Texas Institute of Letters (in fiction, creative nonfiction, and journalism categories), fellowships from the National Endowment for the Arts, the Guggenheim Foundation, the Lyndhurst Foundation, the Mississippi Institute of Arts and Letters, a Mountains and Plains Booksellers Award, nominations for Pacific Northwest Booksellers Awards, and a Pen/Nelson Algren Special Citation, which was judged by Robert Penn Warren, and a General Electric Younger Writer’s Award. He has had numerous stories anthologized in Best American Short Stories: The Year’s Best. The Wild Marsh: Four Seasons At Home in Montana (Houghton Mifflin/Harcourt), a book about fathering daughters in the wilderness, has been excerpted in O, The Oprah Magazine. His nonfiction has been anthologized in Best American Spiritual Writing, Best Spiritual Writing, and Best American Travel Writing, and Best American Science Writing. Various of his books have been named New York Times as well as Los Angeles Times Notable Books of the Year, and a New York Times Best Book of the Year. A collection of short fiction, The Hermit’s Story, was named a Los Angeles Times Best Book of the Year, and another collection, The Lives of Rocks, was a finalist for the prestigious Story Prize, as well as a Best Book of the Year by the Rocky Mountain News. His most recent nonfiction book, Why I Came West, was a finalist for a National Book Critics Circle Award. He is the recipient of a 2011 Montana Arts Council Artist’s Innovation Award. His stories, articles and essays have appeared in The Paris Review, The New Yorker, The Atlantic Monthly, Narrative, Men’s Journal, Esquire, Gentlemen’s Quarterly, Harper’s, New York Times Sunday Magazine, Los Angeles Times Sunday Magazine, Boston Globe, the Washington Post, Tin House, Zoetrope, Orion, and numerous other periodicals. 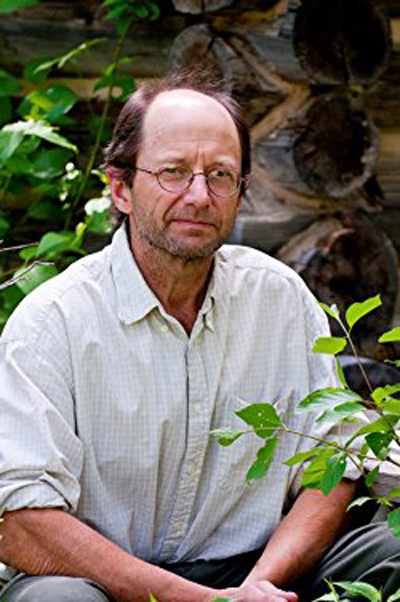 He has served as a contributing editor to Audubon, OnEarth, Field & Stream, Big Sky Journal, and Sports Afield, and currently writes a regular column for Tricycle: The Buddhist Review, as well as for an online hunting magazine, Contemporary Sportsman.